Dirt cheap gaming deals updated by gamers, for gamers. Find the lowest price video games deals for Xbox One/360, PS4/PS3, Wii U and of course on the PC. 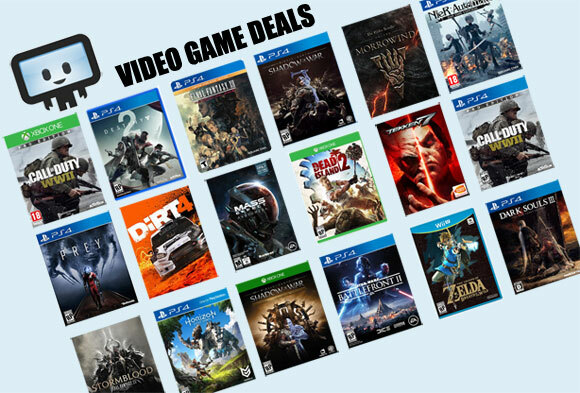 Coupons and deals are updated daily and Dealzon keeps track of all the best pre-order prices, whether AAA or indie games. You'll find lots of PC download deals for Steam keys, Origin keys, and Uplay keys via popular digital retailers. Of course, you'll also find the best video game prices from traditional retailers such as Best Buy and GameStop. Spot a deal that we haven't posted? Tip us here!